This is a quick and easy project to transform ordinary kitchen hand towels into beautiful custom towels that are both decorative and useful. 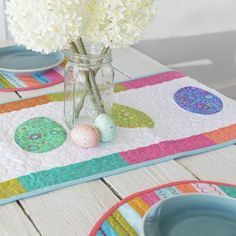 Using your favorite fabrics and Coats Cotton Covered Quilting & Piecing Thread, make a few and put them together for a great Mother’s Day gift. Or make a set for yourself in your favorite prints to add a bit of color and design to your kitchen. Here’s how! Please read through all of the instructions before getting started. 1. Measure the width of the the towel with a ruler. My package stated that the towels were 16″ x 18″ but they were actually a bit larger, so take the time to measure the width of each towel before you get started. Once you determine the width of your towel, add 1/2″ inch to that measurement and make a note of it. 2. Cut the fabric into a strip that measures 3 1/2″ x the width of the fabric using a rotary cutter and straight edge. 3. Trim the strip of fabric so that it is the same length as the determined measurement in step 1. For example, my towel measured 17″, so the determined measurement in step 1 was 17 1/2″, and therefore my strip of fabric measured 3 1/2″ x 17 1/2″. Optional step: construct a pressing guide with a piece of card stock, a permanent marker, and a ruler to help with pressing the edges of the fabric strip. Measure 1/4″ from the edge of the card stock and draw a line with the permanent marker. Mark the line with the measurement, and mark any other increments that you wish as well. You can see that I marked 1/4″, 1/2″, 1″ and 1 1/2″ on mine. 4. With the right side of the fabric facing down, fold the edge of one of the long sides of the strip 1/4″ down and press with a hot iron. Continue to press along the entire length of the strip of fabric. Repeat on the other long side of the strip. 5. Fold the short end of the strip in 1/4″ and press with a hot iron. Repeat with the other short side of the strip. 6. Miter the corner to keep the folded edges neat. Open up the pressed edge of the short side of the strip of fabric. 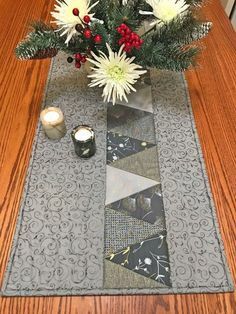 Fold the right corner of the strip in and on itself so the edge of the fabric is just against the crease made by pressing. …and press again with a hot iron. Repeat with the left corner, and then repeat to miter the corners on the other short side of the strip. 7. Using a straight edge, measure two inches from the bottom of the kitchen towel. Keep the straight edge there as a guide and lay your pressed fabric strip on top of the towel, right side up. 8. Move the towel to the sewing machine and stitch along the edge of the fabric with the Coats Cotton Covered Quilting and Piecing Thread. For this print, I choose to use color number 5270 Parakeet, which is a gorgeous shade of blue, so that the stitches really stand out against the fabric. 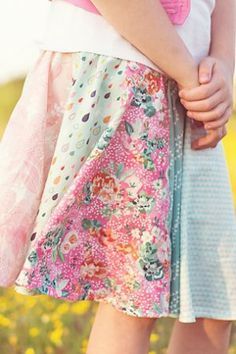 Tip: when you get to the corner of the strip of fabric, stop the sewing machine with your needle down. Then, lift the presser foot and pivot the towel and fabric, so that the next side is facing you. Lower the presser foot, and start sewing again along the next side. Repeat this step at each of the corners of the strip of fabric. 9. When you get back to the starting point, sew and then backstitch over your first few stitches to lock the seam. When you’re finished, snip any loose threads with a pair of scissors and press the towel with a hot iron. Congratulations, you’re done! 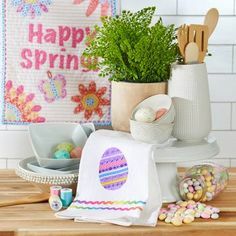 Make a couple more out of coordinating fabrics for a great little gift bundle, or a sweet treat for yourself. I'm sorry, but do you need a tutorial for this!!? For someone learning to sew, the answer would be yes. Everyone is at different skill levels and clear step by step photos make it easier when you are trying something new. I liked seeing the mitered corners. Wouldn't have thought to do that. Thank you! 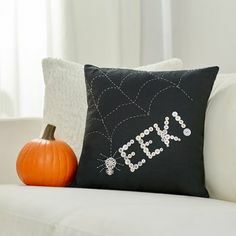 My Daughter-in-law is just learning how to sew and she DOES need a tutorial, especially one with pictures. Let's not be rude folks!! Idiots like myself who are just learning really appreciate tutorials like this one. I'm jealous of all of you who are experts behind the machine! Fore example, the card stock idea is something new to me – thanks for the tip! 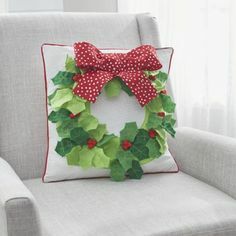 I too loved the card stock idea – I am going to make one tonight and use it for a lot of things!! Thank you for this tutorial. How lovely !.. What a wonderful gift when I go to my son's home this weekend.. My daughter-in-law will just love this and I will enjoy making and giving it to her.. Thanks for the idea..
Making some for my mom. 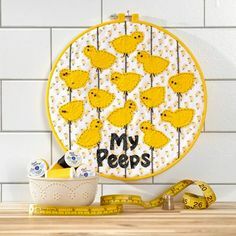 I'm not a newbie sewer, so I don't need such intricate instructions, but WOW I sure would have loved to have these when I started sewing at age twelve. Thanks for the idea. 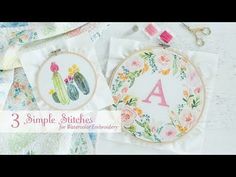 Thank you for the tutorial I appreciate the information as I'm learning to sew. This is a great idea for gifts! The only thing I would do differently is to wash and dry the towels before measuring for the fabric. This may be why Ms. Jones towels measured larger than the tag said. This will also prevent the decorative fabric from puckering when the towels shrink in the dryer (and they will shrink). Yeah, I'm kind of surprised that was left out of the instructions. You should always wash and iron your fabrics before sewing. 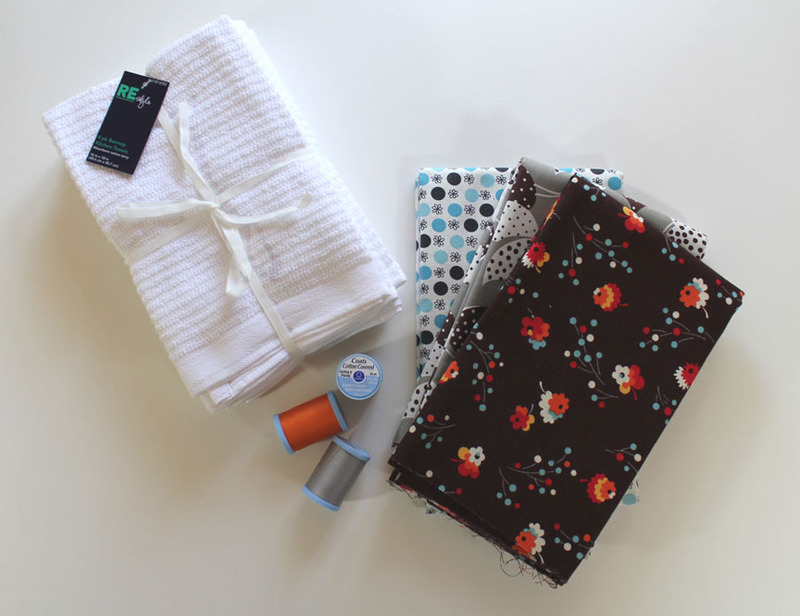 A suggestion – wash and dry BOTH the towels AND the fabric so that they shrink before you start cutting, pressing, and sewing! Very pretty. Kimmie, if you need to ask, then my answer is yes, you do need the tutorial. 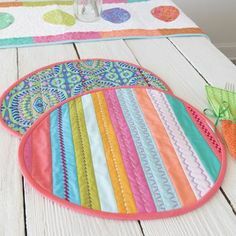 I loved the tutorial and I've been quilting for years. I would never have thought to miter the corners either. Thanks! The card stock tip was great too. I agree with the others that you should wash, dry and press the material and towels because of the shrinkage. I have those types of towels and they certainly shrank after being washed. Thanks for the great idea, Heather! Nicely explained. Thank you, Ms. Jones. I have done quite a bit of sewing, and probably could have figured out how to do these towels without the tutorial, but I do like to have explicit instructions when I'm learning something new. And the tips – a pressing guide! Who'd'ave thunk it? Well, obviously you did! Thanks! 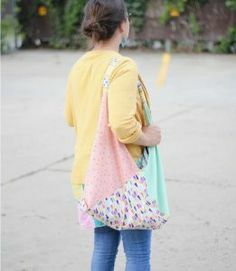 I have been sewing for a little bit and I very much appreciated this tutorial and the tips: mitering corners, making a pressing guide and the suggestion from those who commented to pre-wash. I have some house warming gifts to make and your tutorial will be by my side. Thank you! Your DIY is great. I was thought that a towel must be made by Towel Machine. 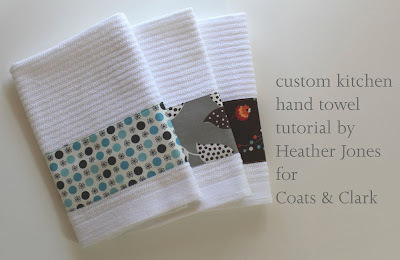 DIY for a hand towel is a very happy thing. Thank you for this tutorial. 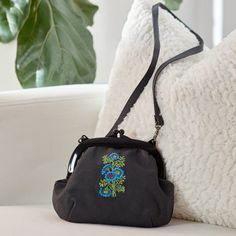 I just started sewing again after 40 years and I do need tutorials.